Video Analysis: Personal coaching on your device - or group coaching on the big screen. Take videos with the camera, or import from your Wifi GoPro™, your laptop or desktop. - Kirk Verner, Internationally acclaimed skydiving coach. 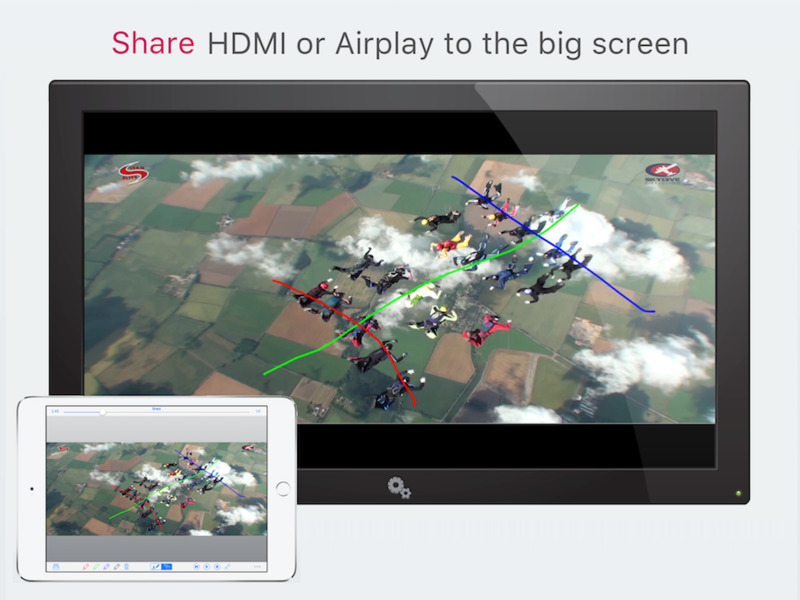 Intuitive touch controls make it easy to zoom in, annotate and show slow motion action. For group-debriefing, you can display full-screen video on an external screen over hdmi, or stream to an Apple TV. Drag two fingers to reposition the video. Use the drawing tools to illustrate your point. Video Analysis can display fullscreen video on an Apple TV, or any TV connected by an Apple cable. 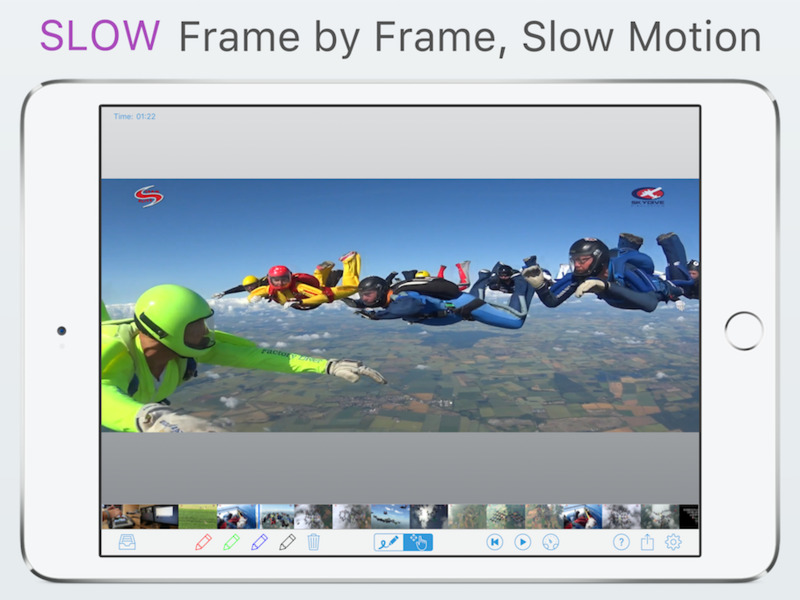 You control the video from your device, and the group can see where you zoom, or draw. Some cameras capture video in a format that doesn't support subtle backwards scanning or play. Video Analysis can reprocess videos to a format that allows frame by frame control both forward and backwards. Video Analysis supports mp4, m4v or mov videos. Other cameras : Use the Apple SD card reader to import videos to the photos app, then 'share' them to Video Analysis - or copy videos to the app through iTunes.